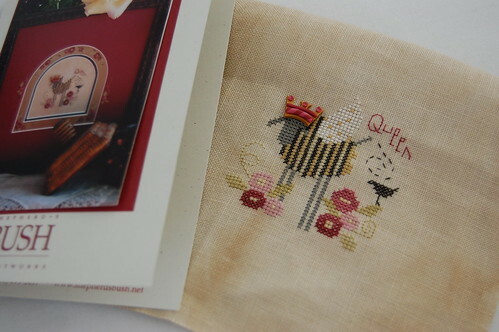 Nicole's Needlework: Queen Sheep Finished! I'm going to meet Deb tomorrow at Golden Needle. I'm looking forward to it so much! I have missed her! Well, I'd better get some sleep! Write soon! Very cute Nicole! Did you use the fabric that came with the kit? I really like it! Such a nice design. And so quickly finished. Love the crown on that. Very cute. This looks very cute, I like it !!! Ahhh... Nicole with 3 kids is super fast... Nicole without 3 kids is even faster! Great job.. it's adorable!! Wow! That was fast! Even for you turbo-girl! :) You will love your floor stand! Cute finish! I love the little crown button! How cute. I love the crown button. Very sweet! I love Shepherd's Bush sheep designs. 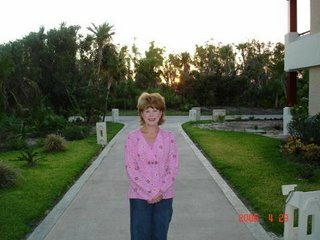 Hope you have a fun day with Deb. So sweet! You just zipped right through that one! I got hooked on your cross stitch updates and just could not quit reading. I've enjoyed getting to know you thru your blog and you have 3 beautiful sons! I have been inspired by your cross stitch and how fast you seem to stich them. I've been stitching for 25 yrs (I'm 43) and I've actually taken a break from all crafting up until about august last year. I have found your blog to be a great motivator and I've enjoyed stitching once again. I hate the slumps we seem to get in to but sometimes "life" just gets in the way BIG TIME. Anyway, just wanted you to know how much I've enjoyed reading and I hope I can keep up with my stitching. I don't have a blog but my daughter keeps telling me I need one since I have so many pics of things I do but not sure I have the time to keep one up right now. Thanks again for all of your inspiration and keep it up; it wonderful to see!!! That is a really sweet finish Nicole!